All Free Audio Converter is the most popular audio converting utility. With this software, you can easily and quickly convert your audio or video files to MP3, OGG, WMA, WAV, AAC, M4A, FLAC and MP2 format. 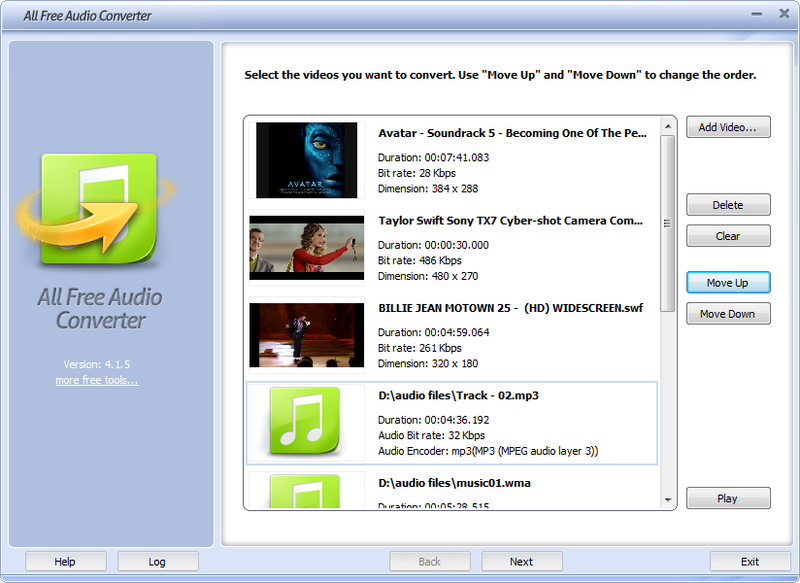 All Free Audio Converter's wizard mode provided enables users to process conversion step by step. Meanwhile, the batch processing saves you more time. The preset configuration helps control the output quality precisely. Qweas is providing links to All Free Audio Converter 4.9.1 as a courtesy, and makes no representations regarding All Free Audio Converter or any other applications or any information related thereto. Any questions, complaints or claims regarding this application All Free Audio Converter 4.9.1 must be directed to the appropriate software vendor. You may click the publisher link of All Free Audio Converter on the top of this page to get more details about the vendor.